Designed in 1930 give Xavier Pauchard, the mobile mail sorting is finally revived. Multifunctional, you can place anywhere: on entry in order to keep the various objects in the room as a desk, in the living room as a library. Designed in 1930 give Xavier Pauchard, mobile for the mail sorting is finally revived. Multifunctional, it can be placed anywhere: in the entrance in order to keep the various objects in the room as a desk, in the living room as a library ... This industrial and vintage style is really in effect. The cabinet is made up of six removable shelves, divided into compartments 24: Guests are offered XXL space! The practical drawer allows you to hide pens, small items, keys or important documents. Symbolic and democratic, the metal furniture Tolix marks a significant milestone in the history of design. The merit goes to Xavier Pauchard designers who first used stamped steel and zinc for the production of furniture produced in series. Today, the company has acquired digital high-performance machines that accompany many manual operations and the tools inherited from history. Every item that comes from the atelier is unique and brings Tolix signature etched into the metal. 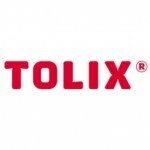 It is with genuine recognition that Tolix received in 2006, the label of "Company of the living heritage" conferred by the Ministry of Economy, Finance and Industry. Removable shelves 6 / 24 compartments / 1 drawer French manufacture.